SA School Sports Magazine, South Africa’s biggest school sport website & Magazine by far! As a trusted media partner for local schools, coaches, athletes and influencers, it delivers in-depth coverage of every aspect of high school sports. It also focuses on the lifestyles surrounding today’s high school sports community through local interviews, opinions and photos that provide commentary, insight and coverage on what matters most to high school athletes. SA School Sports Magazine offers a wide variety of information, including winning strategies, information about health, analysis of the latest trends in gear and technology, and much more! 1. Rankings on School Sports. 2. Profiling school athletes and coaches. 4. Information about health to analysis of the latest trends in gear and technology. 6. 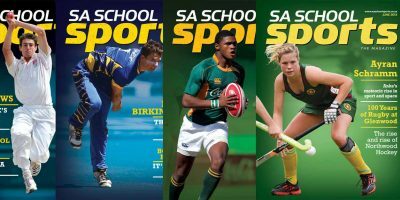 Schools covered by SA School Sports Magazine – provinces & schools.